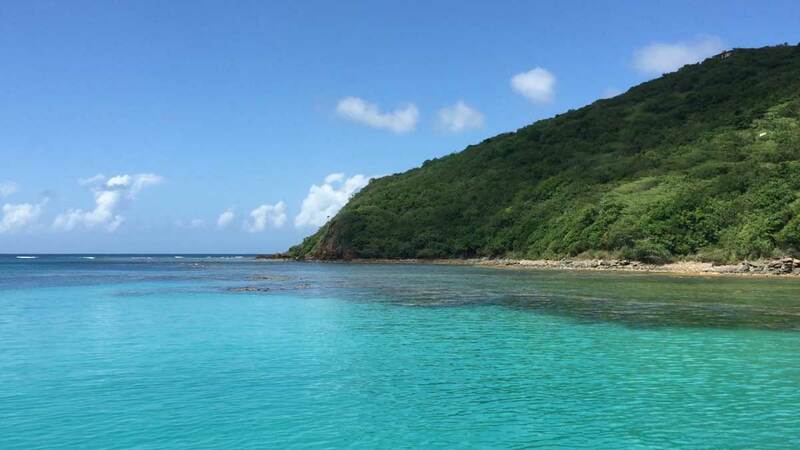 Culebra and Flamenco Beach, PR - WattWhereHow? 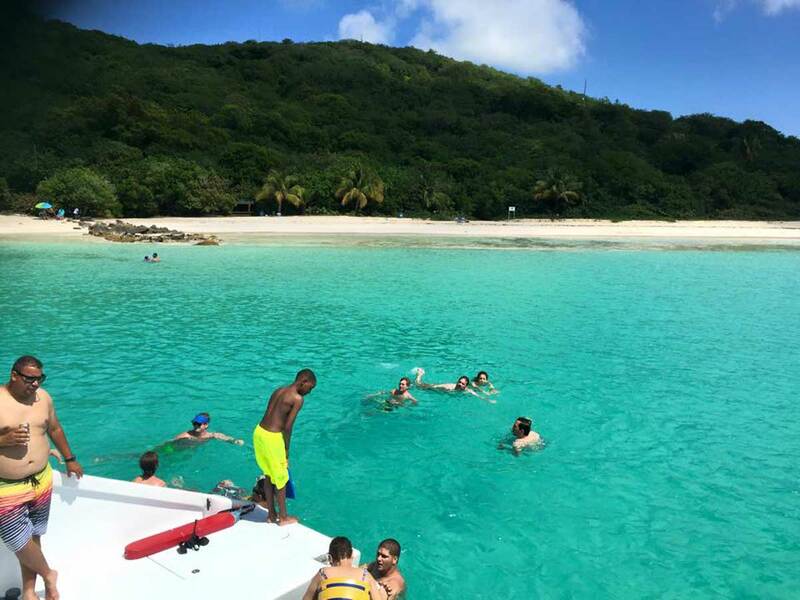 Crystal-clear turquoise waters, white sand, abundant sea life and sunny skies make Culebra a hard place to beat. Coming from tropical Queensland, home of the Great Barrier Reef, it takes something special to impress us. 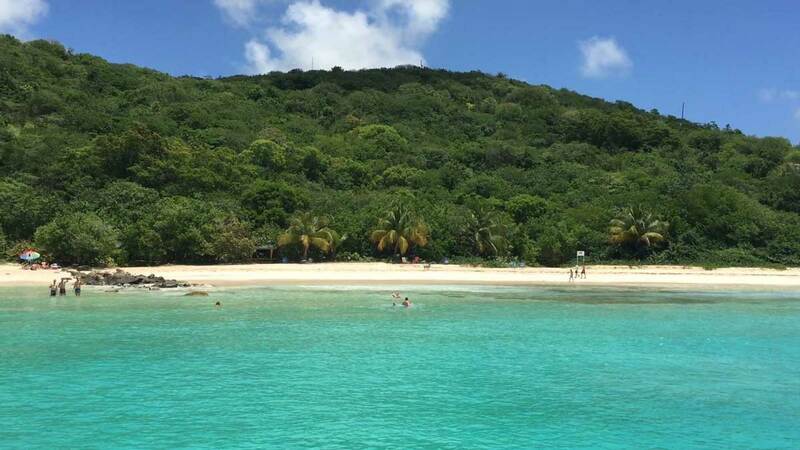 Culebra didn’t just impress, it set the new standard for holiday destinations. Culebra is a large island, 27km off the east coast of Puerto Rico. Today’s excursion is the best way to experience its beauty if you’re time poor. There is a ferry, which only services the island a couple of times a day and tends to sell out, with massive queues. The other way, short of playing a pirate of the Caribbean, is to take a flight on a small plane. Either way involves minor discomfort compared with cruising on a catamaran, pina colada in hand. The tour, run by East Wind Tours and booked via Viator picks us up at an ungodly hour (7am), from Plaza Colon (Columbus). The air is already thick with humidity and the clouds look ominous. 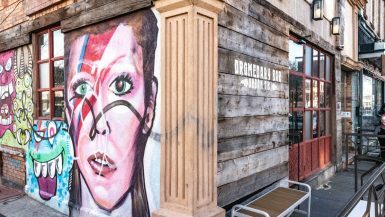 The minivan does its pickup run from Old San Juan down to the hotel hot spot, Condado, a beachfront area that is home to most of the city’s tourism accommodations. The towering, multi-national chains have beautiful infinity pools and their own private beach access and casinos, but our decision to stay in a boutique hotel in the old town feels completely vindicated. I’d take wandering lazy golden streets over floating in a pool on most days. Joining us on the trip is half of Texas and a broad representation from several Latin-American countries. The minivan passes the airport and heads inland. The landscape is fertile and a rich green. With the high-rise apartments and palm trees, it could easily be mistaken for Australia’s Gold Coast hinterland. We pass mango trees and sugar cane as the van weaves through hills and valleys on the way to the port of Fajardo. Awaiting our embarkation is a modern catamaran with all mod cons. After being fitted for flippers, we board for the ride out to the island. From the moment the boat has exited the harbor, it’s full steam (or more likely, diesel) ahead. The captain has the pedal to the floor and the boat transforms into a roller coaster. It leaps and bounds over the extremely choppy waters, causing the passengers to giggle nervously and every so often, be thrown into the air. 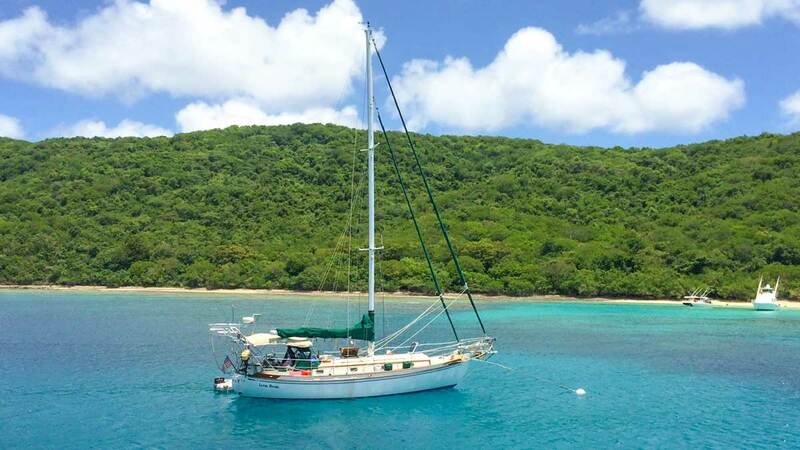 After about a half an hour of joyriding, the seas calm as the catamaran enters a beautiful, blue bay. A quick safety briefing and it’s men and women overboard. 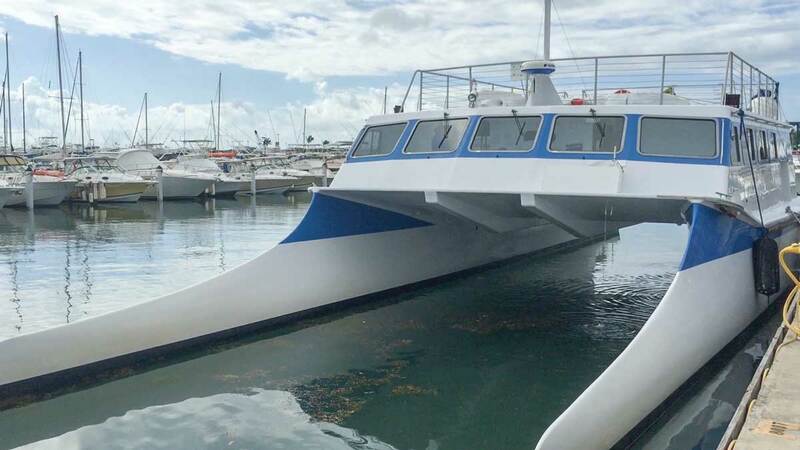 The catamaran has been customized for diving and there’s easy access to the water from the platforms at the stern. This first stop is directly above a reef and the visibility is amazing. There are colorful parrotfish, wrasse, angelfish and plenty of breeds we can’t translate. It’s a real treat. For the lazy and unfit (we fit both categories), there’s an optional buoyancy vest, meaning you can float uninhibited and enjoy the view. For those needing a breather, the bar is open and there’s an unlimited supply of free (included in the price) rum punch and pina coladas. The crew actually serves you off the back platform, turning the catamaran into an amazing swim up bar, which when partnered with the buoyancy vest makes it the ultimate bar. Imagine the sheer joy of floating in the pleasant, blue Caribbean. After about two hours of snorkeling (or chugging rums, depending on your idea of fun), it’s on to the main attraction, Flamenco Beach. 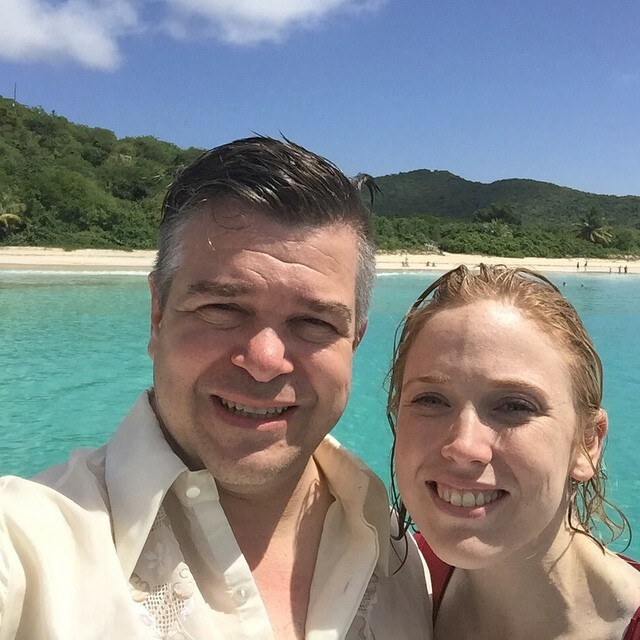 This is what sealed the deal for me when choosing Puerto Rico as our destination. Rated the third best beach in the world, it’s as close to a Corona beer ad as you can get. The Americans liked it so much, they used to use it as a munitions range in WW2 and there are still the rusted hulks of Sherman tanks half buried in the white sands further around Flamenco Bay. The catamaran anchors in the shallows. It’s about a 500m swim to the shore. The boat is a regular visitor and the locals are waiting. There are literally hundreds of dart and trevally swimming around, anticipating the free bread the crew dump to get the snorkelers excited. Swimming slowly and slightly menacingly around the back of the school is local big boy, Godzilla, a morbidly obese grouper. In amongst the shoal is a stingray, keeping a low, but ever-present profile on the bottom. It’s an easy swim to the beach and several of the groups have loaded up on bags of beer for their beach party. At $3 a can (not included in the price), the local brew, Medalla is refreshing and light, more like an Aussie lager than an American beer. Adding to the festive atmosphere, a group of day trippers are blasting reggae tunes out of a boom box. Back on board, lunch is served. 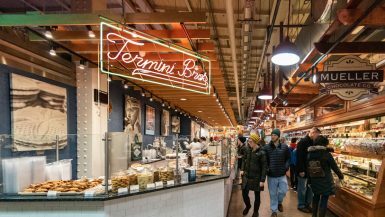 There’s a blend of cold cut meats, cheeses, salads, breads and snacks. It’s light, but there’s plenty to go around and to satisfy the hungriest sunburnt munchies. That being said, sunburn is no laughing matter. In between the hours of snorkeling, sunning and drinking, I somehow managed to get absolutely roasted – possibly worse than I ever did back in Australia. The never-ending winter rendered me as desperate for sun as an English backpacker. Returning to Old San Juan for birthday dinner and cocktails, it has been the most amazing day. Up there with our wedding. 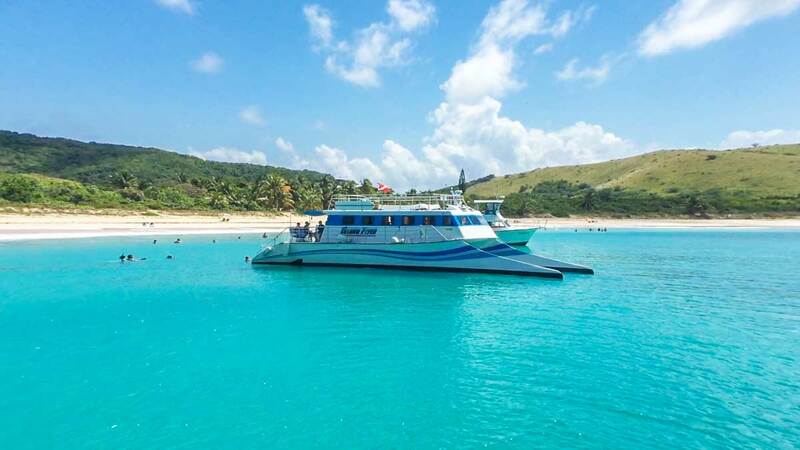 If you get a chance to visit Culebra, you will not be disappointed with this option. An all day trip with all you can eat and drink package, two snorkels and the chance to chill on one of the world’s top 10 beaches, Flamenco Beach. 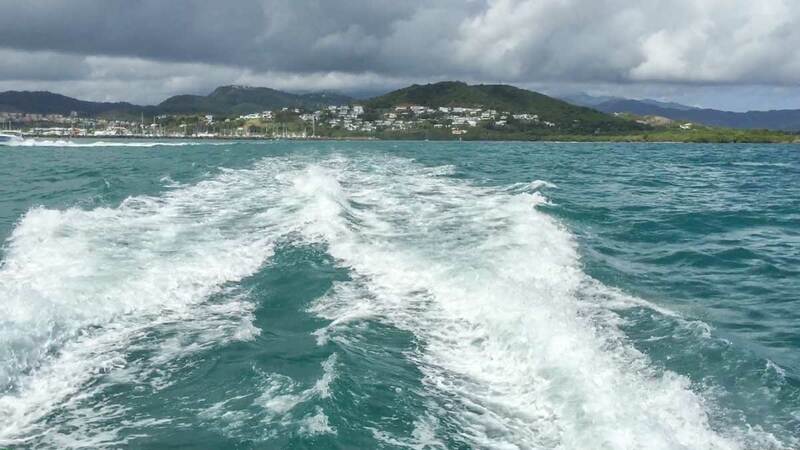 It’s to the east of San Juan, accessed by boat from Fajardo. 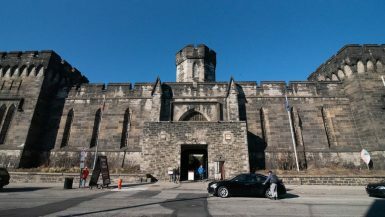 To make life easier for ourselves we took a Viator tour. It was only about $115 for the cruise, transport and unlimited food and cocktails. Beers were $2 each.